During the latter part of the 18th century, the Kentucky breeding industry found its cradle among the scenic stretches of Louisville, Kentucky. On eighty acres of land three miles south of downtown Louisville, a culture of spectacle Thoroughbred horse racing developed and, riding the popularity of the Kentucky Derby, came tostand the test of time. Today, few horse racing venues in America can boast the sophistication of a world-class race track like Churchill Downs. Easily identifiable by the twin spires atop the grandstand, the Churchill Downs race track is widely known as the domicile of the Kentucky Derby. It is also named a National Historic Landmark and one of the Horseplayers Association of North America'stop race tracks in the country. But, for many horse racing fans Churchill Downs is simply a second home. It's a place where experiencing"The Most Exciting Two Minutes In Sports" is just as rewarding as taking a behind-the-scenes tour or spending a relaxing afternoon with family next to the tracks. Churchill Downs race track in Kentucky, home of the Kentucky Derby, has a great schedule of events. As well as races and events for adult racegoers there are family days and fun activities for kids, often based at the Kentucky Derby Museum. Here is a rundown of the Churchill downs schedule for the rest of 2017. There are no events scheduled for August. The events for December are not yet listed. While the Kentucky Derby is over for this year, Churchill Downs is not a one-horse race. The race track holds popular racing events throughout the year. On the social side, there are steak and eggs events on many Sundays, Twilight Thursdays and holiday events around Halloween, Thanksgiving, Veterans’ Day and other special days. November is an especially busy month, with the Breeders’ Cup at Del Mar, Thanksgiving at the Track and the Clark Handicap. To find out more about Churchill Downs race track and the Kentucky Derby, visit MyWinners or to find Churchill Downs’ own listings go to the Churchill Downs schedule. Churchill Downs’ main track has showcased some of horseracing’s most iconic horses and stakes, and is therefore now considered as hallowed ground. Two races of the Triple Crown – the Kentucky Derby and the Breeders’ Cup – were run on the main track which comprises a dirt surface of 1 mile with a width of 80 feet. The dirt track surrounds the Matt Winn turf course with a circumfence of 7/8 furlongs and a width of 80 feet. Colonel Meriwether Lewis Clark Jr (grandson of famous explorer William Clark) rented the rural piece of land that would become the setting of Churchill Downs from his uncles John and Henry Churchill, whom the track was named after. To help finance early construction, Clark generated funds through paid membership subscriptions to the track. He managed to secure 320 members who paid him $100 each. The $32 000 he subsequently raised was enough to build a clubhouse, grandstand, Porter's Lodge and six stables, which made the ready for its first races. On May 17, 1875, Churchill Downs formally opened with three main races: the Kentucky Derby, Kentucky Oaks and Clark Handicap. Inspired by three great races of England – the Epsom Derby, Epsom Oaks and St. Leger Stakes – the stakes attracted 10 000 spectators who witnessed a three-year-old chestnut colt, Aristides, win the inaugural Kentucky Derby. But, despite the success of the Kentucky Derby, the track failed to show any profits. In 1894 the New Louisville Jockey Club was established. Headed by William F. Schulte with Clark as Presiding Judge, the track saw its first restructuring. Schulte built a new grandstandwith the now iconic two twin spires atop the roof for an estimated cost of $100,000. Under Schulte's rule, the length of the Kentucky Derby was also reduced to its current 11/4 miles and in 1895 the tradition of garnishing the winner in a drape of roses was instated. When the track still struggled financially, its operation was handed over toformer Louisville Mayor Charles Grainger, Charlie Price and Matt J. Winn. Under their administration, the track finally thrived with the Kentucky Derby becoming the foremost race for three-year-old thoroughbred horses in North America. During this period, Churchill Downs also established itself as a social hub in the area. With the addition of the new clubhouse, the track began featuring a variety of entertainment such as steeplechases, automobile races, band concerts and the state fair. One of its first historic moments happened on June 5, 1907 when American jockey James Lee became the champion of the entire six-race card at Churchill Downs. Lee's record was just a taste of the many achievements that would make the track even more successful. The following year pari-mutuel wagering began at the track, which boosted its betting side. In 1952, Churchill Downs' signature race, The Kentucky Derby, grew in popularity beyond the track when the race was broadcasted on television for the first time. After establishing itself as one of America's supreme race tracks over the years, Churchill Downs was finally given a $121 million revamp between 2001 and 2005. The embellishments included a new clubhouse and 79 luxury suites. Indulge your senses and unleash your imagination with top-notch entertainment at the Louisville Palace. Situated in Fourth Street – the commercial hub of Louisville – this historic venue offers the best in showbiz from around the world. 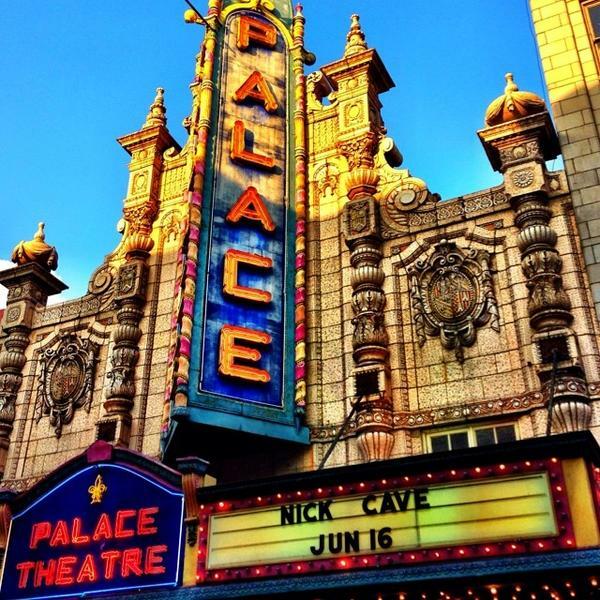 Since its opening in 1928, the Louisville Palace has attracted millions of visitors to enjoy the finest movies, live music, comedy and stage plays. With its spectacular interior and exterior architectural design as well as quality audio equipment and visual lighting, each show becomes a magical and enriching experience. Kentucky Peerless Distilling Company began in Henderson, KY under the leadership of Henry Kraver in 1889. Due to WWI and Prohibition, the Distillery was forced to close and cease production of it’s famous whiskey. In 2015, the family namesake was revived when the great grandson of Kraver, Corky Taylor and his son, Carson Taylor, 4th and 5th generation respectively, re-opened the Distillery in Louisville, KY.
All under one roof, grains are milled, cooked, fermented, double distilled and barreled as bourbon & rye. 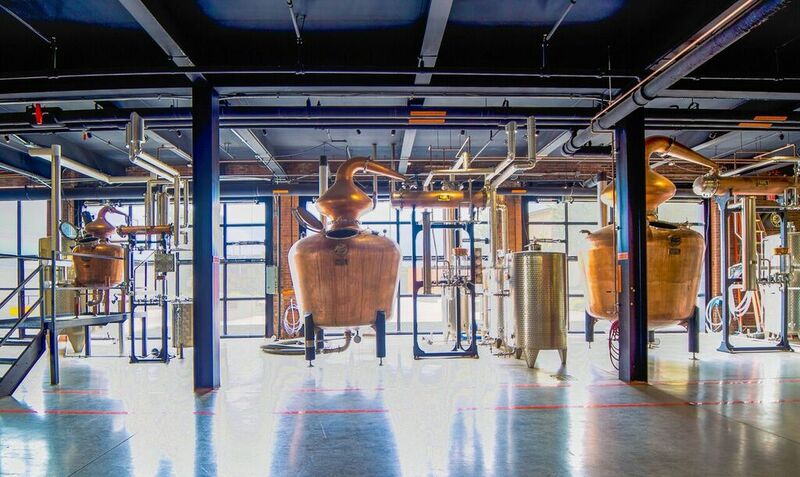 This is the most authentic Distillery you will see in Downtown, Louisville. You will love the personal atmosphere & feel like part of the family after just one visit! There is a unique retail shop with creative gifts and speciality items, including our Lucky Kentucky Moonshine. Lucky is bottled at a low proof and comes in seven tasty flavors that will change the way you think about moonshine forever! They are located in 120 North 10th Street, Louisville, KY, and open Wednesday - Saturday from 10am - 4pm. 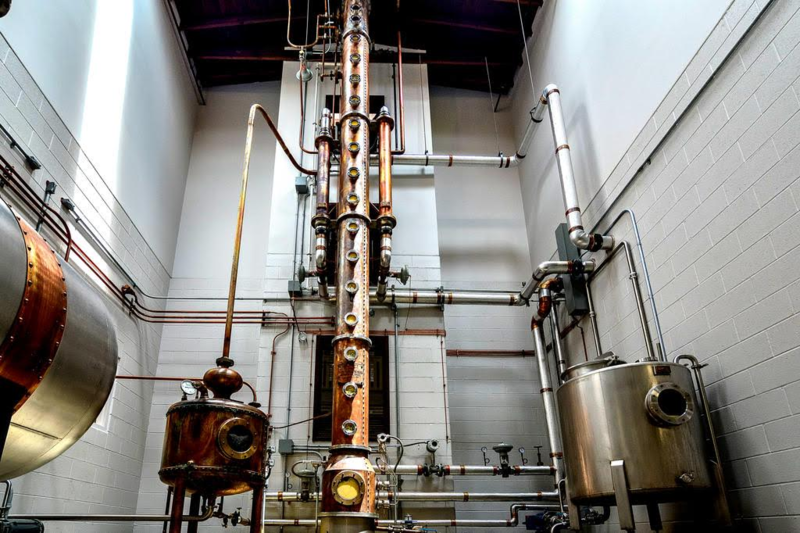 Copper & Kings is Kentucky’s only brandy and absinthe distillery. Located in the historic Butchertown neighborhood of downtown Louisville. The distillery was recently voted Best Local Distillery by Louisville residents. The distillery exclusively produces copper-pot distilled American Brandy. The facility is modern, highly designed and architecturally very creative with a focus on environmental sustainability (solar power, repurposed shipping containers and even a 4,300 sqf Monarch Butterfly garden).Tours encompass the full distilling environment from copper pot-stills to bourbon-barrel maturation in the basement cellar where the distillery’s unique sonic-aging process of playing rock & roll to the barrels 24/7 is illustrated. A visit to the 2’nd floor art gallery and the “weapon of mass creation” – an elevated vapor basket – is a truly novel distillery experience.Tours end on the Skydeck with a gorgeous, unsurpassed view West of Downtown, Louisville. This is a one of a kind surprise in Kentucky.